Nobody is asking why you want to clear the recent documents from your XP start menu, but we’ll show you how to do it anyway. Right click the start menu icon and select Properties. Click the Start Menu tab and click on Customize. 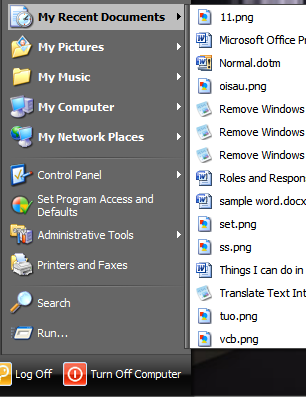 In the Customize Start Menu window click on the Advanced tab. 1) Click the Clear List button to just clear the recent documents. 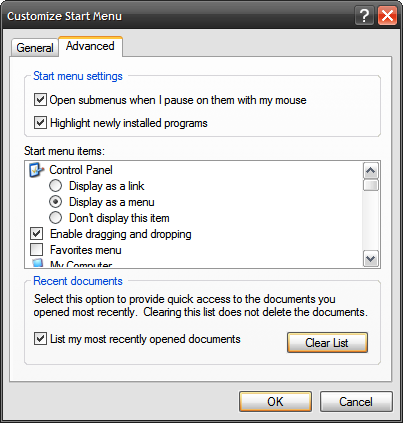 2) Uncheck the “List my most recently opened documents” box to make the entire feature go away.